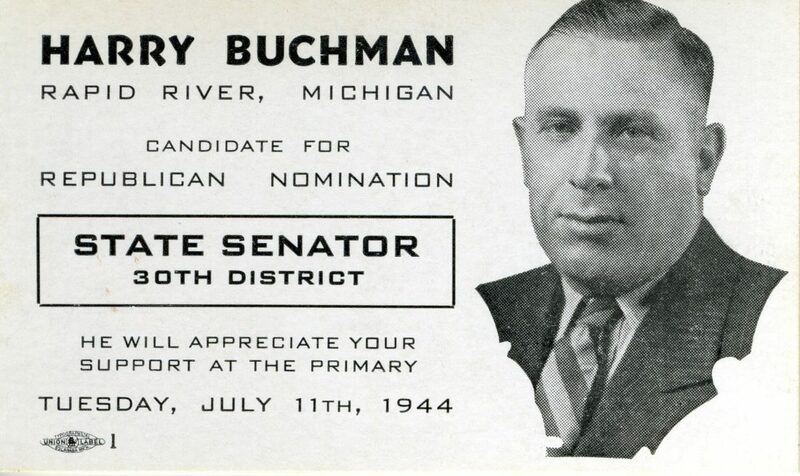 Courtesy photo On this business card from 1944, Harry Buchman, a Rapid River resident, appeals to voters who would be voting in the Republican primary election. 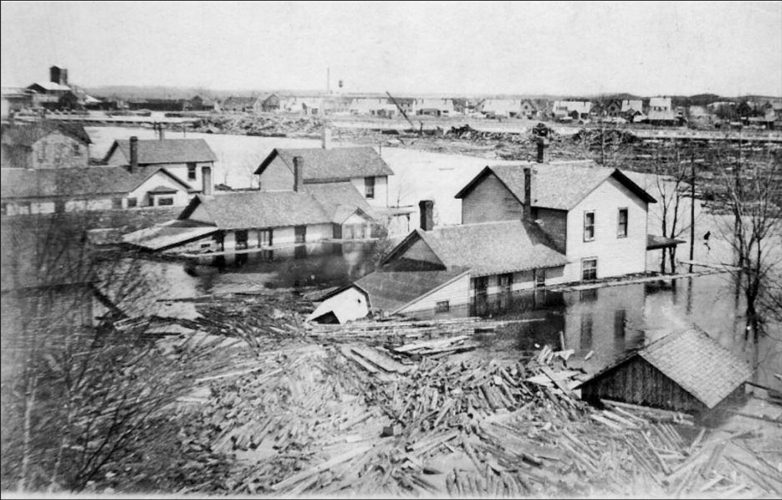 Buchman was a businessman, was born and raised in Rapid River, graduated from Michigan State University, and was a veteran of the First World War. Prior to his bid for the state senate seat in 1944, he had been a candidate for senator on three other occasions, but lost the elections by narrow ­margins.